Philip Hickey is a former professional basketball player turned award-winning marketeer. Currently, he is responsible for marketing and communications at Seriously. Influencer marketing has grown significantly in the past year, with an estimated 65 per cent of brands looking to spend more on the practice in the next 12 months. However, the seas of influencer relations are somewhat uncharted and can be difficult to navigate. What is expected from the brand and the influencer? How can both parties work together to achieve maximum success? 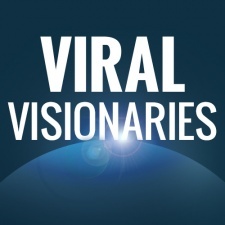 Luckily, our Viral Visionaries are well versed in the field. This week, we asked our crack team of industry experts to share their best tips and tricks for brands looking to break into influencer marketing. Influencerupdate.biz will spend October focusing on brand collaborations inside the gaming sector and beyond. We'll be sharing insight from companies and influencers alike, as well as inspiring case studies and helpful resources that'll help you up your influencer marketing game. Consider why influencers matter in your marketing mix. What can influencers provide that other forms of promotion cannot? What can influencers do to augment your campaign? As an advertiser, you have so many possibilities at your disposal. You can buy advertising--it may be cheaper and more trackable than influencer marketing. So why work with influencers? Think about the role that you want the influencer component of your campaign to play: is it to reach an audience that is immune to advertising? Provide long-form content that dives deep into your product? Generate advocacy from third-party sources? Knowing this will shape the way you engage with influencers, which ones are appropriate for your needs, and what you want to get out of your partnerships. Advertisers should rightfully focus on KPIs. But they should also know that influencers focus on them too. Influencers will only promote brands that do not hurt their standing with their communities. So, as a brand, understand that marketing through influencers isn't about just numbers, it's about finding overlapping values with an influencer and creating a shared sense of excitement. The answers to these questions are enough to fill a book (many have) but my number one piece of advice to companies looking to work with influencers is to understand and prioritise your goals for the campaign. If you're looking to drive conversions, you may get better results at a better price if the content may not look "television quality". If you're looking for reach, you may want to make some concessions on brand-friendliness. If you want it all, understand those creators know what they bring to the table and how to charge for it (in other words, open your checkbook wide and say "ah crap...") The campaign will always be best serviced when the creator's natural aesthetic and tone match the brand's. If a brand chooses the right creator, they will find that fewer concessions need to be made. Define your goals, and think how to measure them (attribution links). Know your target audience and search influencers accordingly. Don't get lured by subscriber-count only. Look at the average views from the past 30 days to get a more realistic picture of what kind of viewership you can expect. Negotiate a clear budget, deal, and deadline for the sponsored content. Also aside from €€, what else can you offer the influencer to help them grow - promotion on your channels maybe? Give the influencers creative freedom. I know as marketers we want to be in control, but the best and most creative content is created when the influencers can be themselves. In the end, they know best what their audience enjoys. And your brand will belong more authentically to their content. Measure the results and analyze what worked and didn't work and most importantly, understand why your campaign performed as it did. 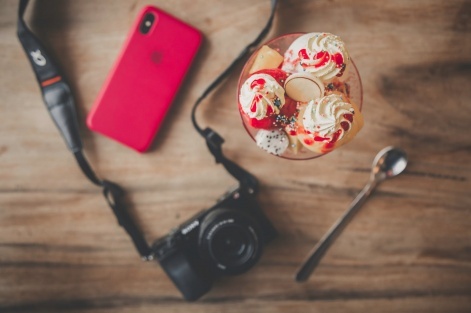 Influencer marketing is a chaotic, time-consuming channel to pursue but it could also happen to be a very rewarding one too. Every influencer is a separate marketing channel - a targeted and manual approach is required. Set your campaign objectives straight away and explain your campaign goal to an influencer. Is it brand awareness, traffic or sales generation that you’re looking to gain from the campaign? The influencer needs to know what it is you’re trying to achieve in order to set the parameters needed to reach those goals. Create a product brief and explain your product features and its positioning to the influencer - don’t let them second guess what you want and then create the wrong messaging thereafter. Remember, every influencer is a separate marketing channel - a targeted and manual approach is required when it comes to product integration, as well as managing the influencer him/herself. By the end of any campaign, both parties should want a successful outcome and a continuation of the solid work already carried out. The brand should expect to receive quality product placement in line with the goals that were set, and the blogger should aim to enhance or diversify content for the brand which will help boost the business and create high-quality user content that will compliment your campaign. The three key things to consider when working with influencers are: trust, transparency, and authenticity. Even though companies are not accustomed to handing over creative reigns, providing influencers with creative freedom that’s more or less “guided” is important when speaking to their community. If it’s a sponsored video - the disclosure needs to be up-front and centre. Creators know their audience and their channels best. Each influencer has a unique relationship with their audience. It can be hard to trust their creative approach, but if you find a creator that has built credibility within their community and who knows what their audience expects, then you've got the best chance of a successful integration. In the same vein, it’s important that the message is clear and that the audience knows the nature of the integration. If it’s a sponsored video - the disclosure needs to be up-front and centre. If you’re working with an influencer, it’s important that he/she uses (and hopefully likes) your product/service. The messaging should be creatively integrated while also keeping a transparent line of communication with the audience. Furthermore, it’s important that influencers marry your company’s brand and message with their own brand in an authentic way that will resonate with their audience. Content should be as transparent as possible while still hitting upon the company’s key messages. By collaborating, it’s possible to organically and creatively integrate the company’s message in a way that works for the brand, the influencer, and the audience, ultimately ensuring a more successful campaign for everyone involved.